Hitman: Absolution isn't out until next year, but that doesn't mean you can't start spending money on crap related to the game right now. 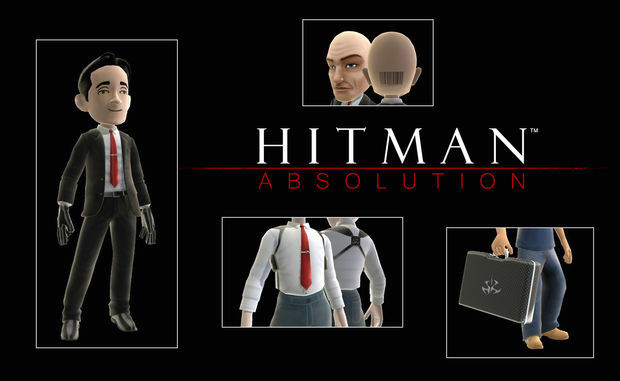 Today's crap comes in the form of Avatar items, including a classic Agent 47 outfit. It's a suit, tie, and some leather gloves. There's also a briefcase, and what appears to be some kind of creepy mask, complete with a barcode tattoo on the back of it. So, tell me how you really feel about paid Avatar items!